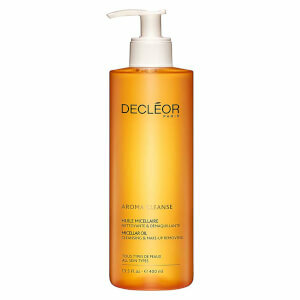 Soften, hydrate and revive your skin with Decléor Aroma Cleanse Essential Tonifying Lotion. A silky textured, paraben free toning lotion, improves the effectiveness of makeup removal for all skin types. 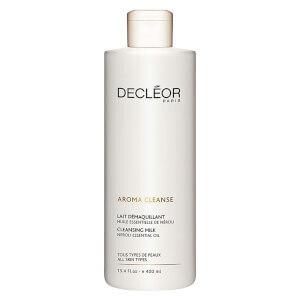 Tone your skin to perfection without any tightness or excess oil with Decléor Aroma Cleanse Essential Tonifying Lotion. Nourishing neroli essential oil repairs your skin and protects against dehydration, leaving your complexion sublimely soft and radiant. Green tea water detoxifies to leave skin clean and fresh, orange peel protects the skin from free radicals with its rich antioxidant properties. Decléor tested the Tonifying Lotion on 21 women aged between 18 and 40, 95% of the women found that it perfectly removed their makeup. 865 were left with smoother, fresher skin. Aqua (Water), Butylene Glycol, Glycerin, Propanediol, Sodium Pca, Oleth-20, Methyl Gluceth-20, Parfum (Fragrance), Caprylyl Glycol, Tocopherol, Disodium Edta, Glycine Soja (Soybean) Oil, Limonene, Peg-6 Isostearate, Hexyl Cinnamal, Linalool, Methylisothiazolinone, Citrus Aurantium Amara (Bitter Orange) Oil, Camellia Sinensis Leaf Extract, Citral, Hesperetin Laurate. This is a really nice toner and the second time I’ve purchased it. Gentle on the skin and smells lovely. Takes every last bit of grime off your face after cleansing. I love this toner, the smell is beautiful, quite sweet like flower petals but fresh and not overbearing. I love the fact the toner is a natural product it always leaves my skin feeling refreshed and bright and clean after use. Definitely recommend! 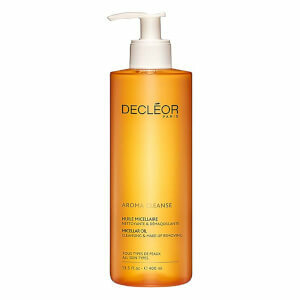 I love Decleor, maybe not the whole range but I cannot do without some of their products, and this is one of them. I really love this in the morning after washing my face and preparing for the day ahead. The price offered by Lookfantastic is quite good and you can always count on free delivery. So far so good wih this product it smells really nice and a little goes a long way I was originally pouring quite a bit into the cotton pad and saw it going down quite fast, with it being a more expensive product I just started using a little less and a little does go along way so no need to use loads. My complexion is looking clearer than ever all round no complaints! Gentle yet effective toner, lovely to use. Just started using but beginning to live this product on my skin as a good toner. Not harsh just right so far. This is a really gentle and soothing toner for the skin. It doesn't make the skin feel tight or shiny like some other toners. It's calming soothing and a great injection of moisture into the skin. Works really well on sensitive skin. My skin was looking a little dull and was in need of special attention so I bought this Decleor Aroma Cleanse Essential Tonifying Lotion and it smells so wonderful and brings calmness to my skin. For Christmas. I want more Decleor!